"Runner Runner" is 20th Century Fox's latest movie offer coming this September 26, 2013 in movie theaters, nationwide. 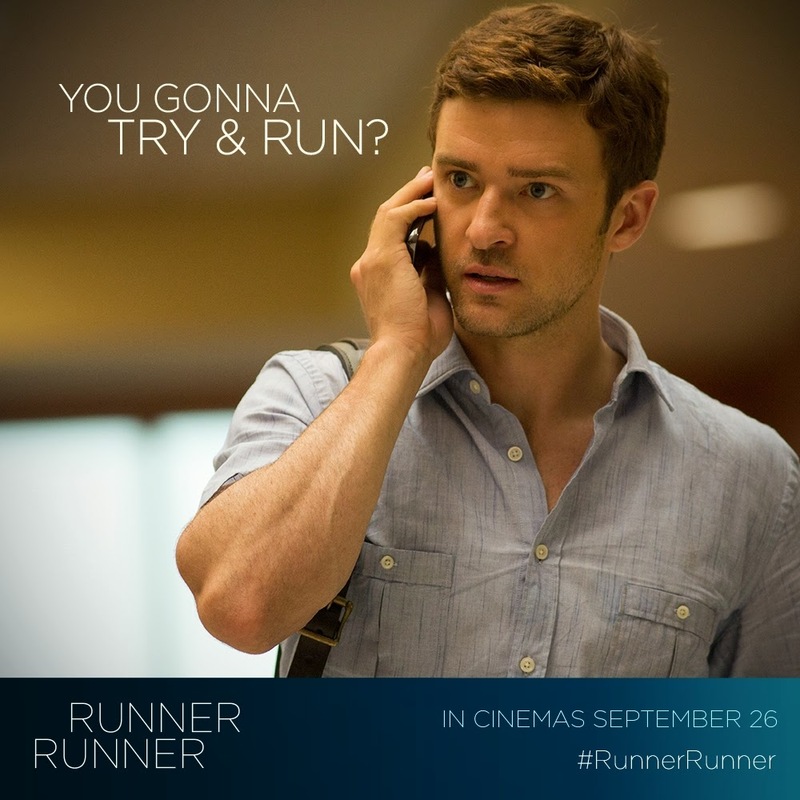 The movie stars Justin Timberlake, along with Gemma Arterton and Ben Affleck. 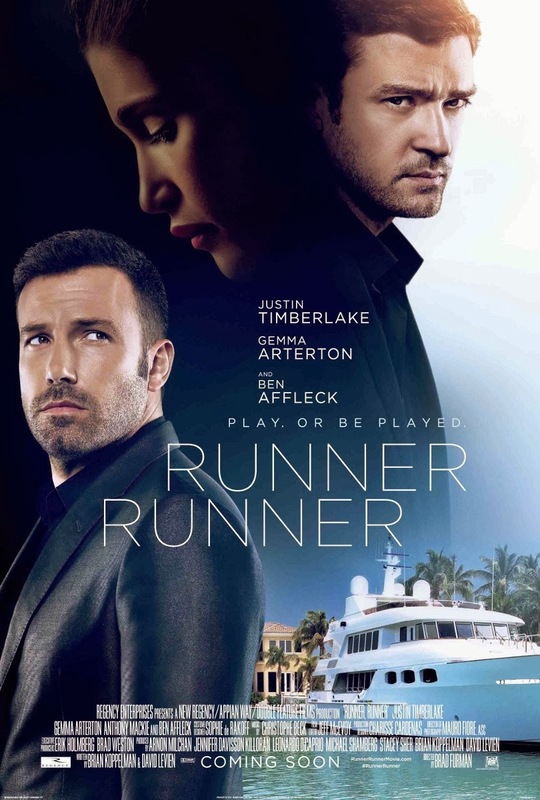 “Runner Runner” tells the story of Richie Furst (Timberlake) as he explores the multi-billion dollar industry of online gambling where all players are supposed to have their share, in any which way possible. The movie is a follow-up movie project of Ben Affleck after winning the Academy Award for Best Director 2013 earlier this year. 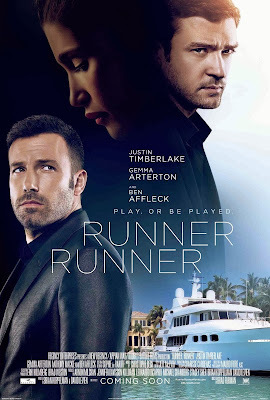 Ben Affleck takes on the role of gambling kingpin Ivan Block while Timberlake is Richie Furst, a brilliant Princeton grad student on his way to finishing his masters. Furst, in order to further finance his studies takes commissions from online gambling operators and risks playing online too for additional money. When Richie bet all of his savings and lost it to Block’s operations, he soon finds out that he’s been tricked. Determined to recollect his tuition money, he heads to Costa Rica to confront Block about his malicious online practices. Soon thereafter, Richie falls for Block’s associate – sophisticated COO Rebecca Shafran (Gemma Arterton) – and he embraces a world that sees all of his fantasies come to life. But Richie soon learns that Block is wanted for racketeering, extortion and bribery, and that FBI Special Agent Shavers (Anthony Mackie) is obsessed with bringing Block and his associates to justice. Below are some of the character posters being distributed by 20th Century Fox on their social networking websites. 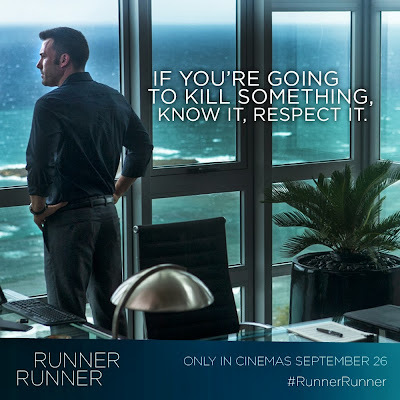 “Runner Runner” is a 20 Century Fox productions distributed by Warner Bros. The movie is showing on September 26, 2013.